Aerospace giant Boeing plans to declare the former Rocketdyne site in the Simi Hills clean enough for public open space even with recent findings of high radiation in the soil and continued chemical releases headed toward the Los Angeles River. 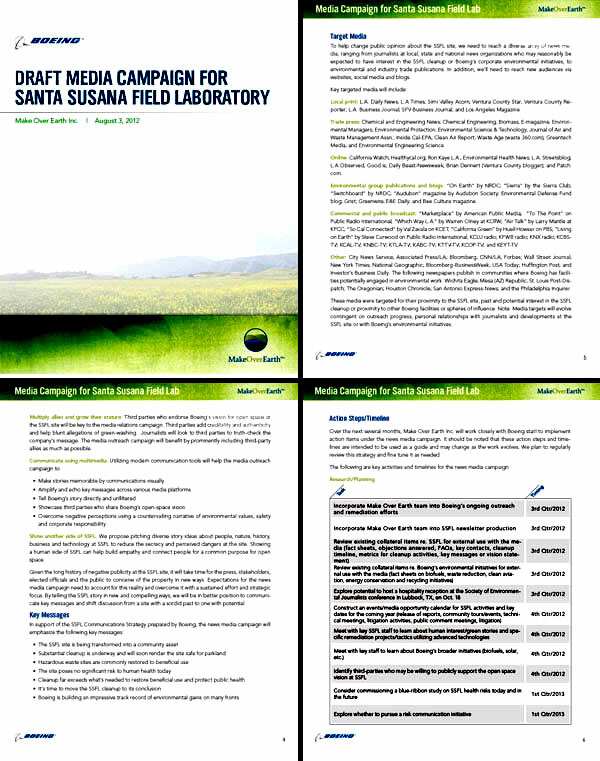 A new public relations campaign targeting local and national media outlets will recast the Santa Susana Field Laboratory (SSFL) in a more positive light according to the Los Angeles Daily News and document inadvertently revealed online. The plan seeks to erase SSFL’s infamously polluted past which includes at least three partial meltdowns, countless spills and mishaps involving radiation and chemicals, and open burn pits where some of the most lethal toxins ever made were set ablaze. Now the soil and groundwater are highly contaminated. The Daily News piece “Contamination at Rocketdyne site still a source of division,” makes some startling revelations about “astroturfing” and “greenwashing” by lab owner Boeing. The paper also independently confirmed what EnviroReporter.com has known for months: Boeing plans to peddle Rocketdyne as an environmental oasis instead of a polluted nightmare by using a well-connected media consulting firm. The PR campaign, created by a company run by a former Los Angeles Times environmental reporter, aims to ‘greenwash’ the pollution at the site declaring SSFL an asset to the community. 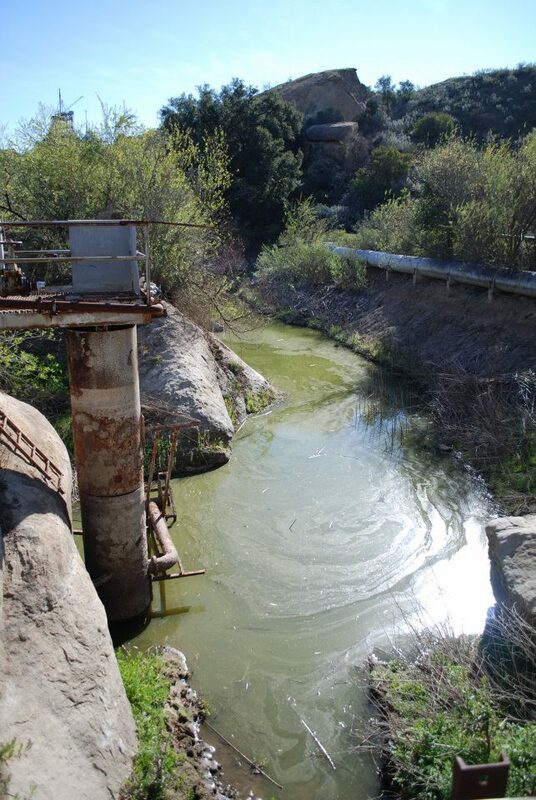 No longer will SSFL be the decades-old polluter that has spewed uncontrolled radiation, chemicals, and heavy metals, PCBs and dioxins off its huge hillside site between the Simi and San Fernando valleys. It will be glorious open space and prime property for a park. The targeted local press includes the Los Angeles Daily News, which broke the Rocketdyne meltdown story in 1989, as well as the Los Angeles Times, Simi Valley Acorn, Ventura County Star, Los Angeles Business Journal, Los Angeles magazine and the Ventura County Reporter. The last two publications are curious choices as the magazine’s June 1998 cover story “Hot Zone” was the first article this reporter wrote about the lab’s pollution problems. More curious still is targeting the Ventura County Reporter which has had the extensive coverage in Ventura County of Rocketdyne and neighboring Runkle Canyon, where KB Homes aims to build hundreds of homes downhill from radiation-impacted Area IV where the partial nuclear reactor meltdowns occurred in 1959, 1964 and 1969. It would be unlikely that the VC Reporter editor would be receptive to a deceptive PR ploy about Rocketdyne. Environmental groups with publications and blogs fare better with “On Earth” by the Natural Resources Defense Council, “Earth” by Sierra Club, and “Switchboard” again by NRDC making the meltdown makeover cut. Dozens of radio shows, national newspapers and news services are marked for the ooze schmooze as are popular and influential websites like LA Observed, Environmental Health News and, not surprisingly, Ron Kaye L.A.. 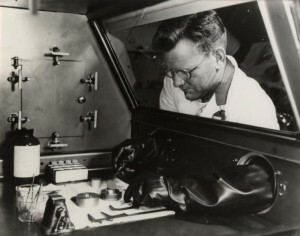 The former Daily News editor distinguished himself in 2009 by publishing a screed by a self-professed Rocketdyne meltdown denier who assumed the identity of 20 former workers to debunk the 1959 partial meltdown of the Sodium Reactor Experiment as proof that the polluted property posed no public health menace. The program includes multiplying allies by “growing their stature” if they “endorse Boeing’s vision for open space at the SSFL site.” That is precisely what Boeing has been doing since 2009 when it offered a cleanup obstructionist the money to fund a CAG that was ultimately approved by DTSC September 21 over the outrage and protest of hundreds of people around SSFL. Greenwashing is PR spin to make places like the 2,850-acre old Rocketdyne lab not look so bad, maybe even look good despite its history of multiple nuclear meltdowns, gross radiological and chemical pollution of the soil as well as so much TCE in the groundwater that it would take tens of thousands of years to clean up. Boeing turned off a trichloroethylene remediation system, capable of extracting just 10 gallons of TCE a year by venting it into the air, in 2006 and now maintains that groundwater remediation decisions should be tempered with the ironic fact that no one in their right minds would use Rocketdyne’s groundwater anyway so why spend the money to remediate it. • “The site poses no significant risk to human health today. • Cleanup far exceeds what’s needed to restore beneficial use and protect public health. • It’s time to move the SSFL cleanup to its conclusion. It seems like a tall order selling this spin to the media which has reported for decades on the accidents, spills, dumping, meltdowns and all the attendant contamination that comes from a site that saw over 30,000 rocket tests. The campaign compensates for that. There certainly is common purpose for using the site as open space. Boeing’s idea of safe open space is much different than the community’s or even government standards should the company continue to refuse to clean up its huge area of responsibility back to normal background levels of goo. Cleanup activists say that Boeing’s refusal to clean up completely would leave 98% of the contaminated soil in place. By telling this story this way, the man behind Boeing’s meltdown makeover has taken his potential and shifted it to the disreputable in one fell swoop. “There is not a crime, there is not a dodge, there is not a trick, there is not a swindle, there is not a vice which does not live by secrecy,” famed journalist Joseph Pulitzer once said. But Boeing’s Meltdown Makeover plan is secret no more. The own goal of mistakenly publishing this campaign on the Internet turns Boeing’s secret plan on its ear and with it the credibility of its journalist-turned-huckster, Gary Polakovic. 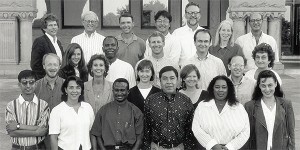 Polakovic shared the Pulitzer Prize with 46 other folks at the Los Angeles Times for the 1998 prize for breaking news reporting of the 1997 Southland firestorms. 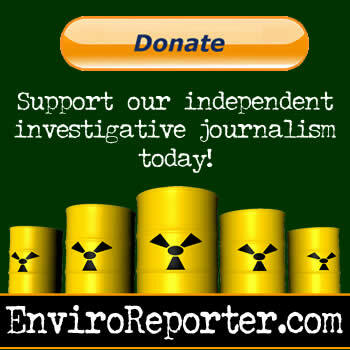 EnviroReporter.com did not make the grade to be a media target in this PR plan and that probably wasn’t an oversight; Make Over Earth’s honcho Gary Polakovic and this reporter share many close friends. Polakovic is well known in environmental circles and serves on the boards of the Clean Air Coalition and the California State Parks Foundation. Polakovic’s Facebook friends reads like a who’s who of Southland environmental and journalism players including Marla Cone, also a former Los Angeles Times reporter and now editor in chief of the aforementioned Environmental Health News, Patt Morrison, popular columnist for the Timeswho also serves as an advisor to the Los Angeles Press Club, Gina Solomon who is deputy secretary for Science and Health at the California Protection Agency and Jonathan Parfrey of Climate Resolve also a commissioner of the Los Angeles Department of Water and Power. Discovering that Gary Polakovic was behind Boeing’s plan 13 years later was shocking. 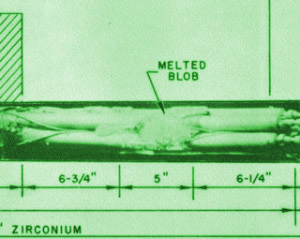 At first blush it seemed that the leaked meltdown makeover plan couldn’t have been written by the same person since that journalist knew about Rocketdyne’s extensive contamination. Could this be the same guy? Could this be the same Gary Polakovic who, on his LinkedIn page, speaks highly of himself during his August 1998 to October 2004 run as Senior Writer, environment science and policy for the L.A. Times? “I pioneered environmental journalism in California,” Polakovic’s bio reads with no hint of irony. Boeing wants to greenwash away the partial meltdown of the Sodium Reactor Experiment at Rocketdyne. Polakovic’s idea of commissioning a Boeing study on health risks at Boeing’s lab follows a classic polluter pattern. In this case, replace the science that has shown in repeated studies – that the contamination at the site can cause serious health impacts – with a media friendly fairytale of how wonderful the lab already is. Now that Make Over Earth’s campaign is public, only time will tell if Boeing still rolls with his recommendations. One thing is for sure, the company has had this campaign in the works long before Polakovic offered his greenwashing services and willingness to bear false witness. Polakovic, who considers himself an “expert authority on some of the biggest environmental controversies of our time,” has just stepped into one with gusto. Here is a utube video detailing 93 lies of the nuclear radiation cartel. That the fracking industry tries to woo environmental reporters is not surprising, but that they go for it (and the money, ad revenue, etc.) is however reprehensible. Here’s another example of an SEJ board member, former Los Angeles Times reporter Gary Polakovic, whose not-so-secret plan to help Boeing greenwash radiological and chemical contamination at the Santa Susana Field Laboratory included hosting a “hospitality reception” for Boeing at this upcoming SEJ annual conference that Wilson expertly exposes! Even now after Greenwashing Rocketdyne came out last December, Polakovic still maintains that “He helped establish and lead the Society of Enviromental Journalists.” The frackers who pulled off this cash cow coup can commiserate on the fruits of greenwashing and astroturfing with the master of Boeing’s Meltdown Makeover. The PBS Newshour is sucking on the fracking teat too as it takes big money airing its “FracFocus” commercials. FracFocus is funded by the gas and oil industry and portrays fracking as harmless to the environment. That fracking can destroy home values, as reported in Fracked Nation, won’t likely air on the Newshour and definitely won’t be discussed at a conference of supposed environmental reporters. Greewashing and fracking are very much alike – you are going to get screwed either way. I first became aware of Sharon Wilson in a riveting September 2013 More magazine feature called “A Texas Rebel’s Fight for Her Land.” This superb article being in More– “for women of style and substance” – is actually not a surprise as the magazine’s “How Fracking Affects You” and “Do You Own What’s Under Your Home?” show the publication to have rock solid investigative journalists on the fracking beat. Though the piece isn’t “slugged” (highlighted) on More‘s cover, it is a reminder that some glossy magazines can have great journalism. 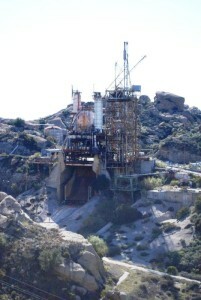 Another example is Los Angeles magazine’s bold cover story “Hot Zone” in 1998 which began EnviroReporter.com‘s coverage of Rocketdyne. 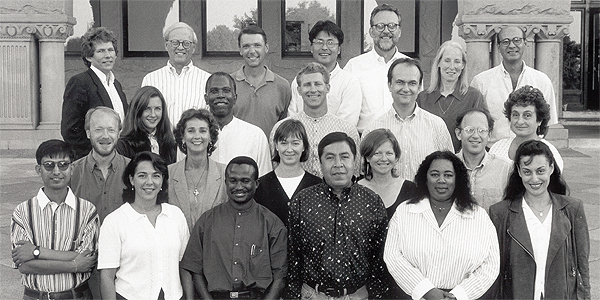 Now 15 years later, the circle completes itself in a web of deceit, greenwashing, astroturfing and fracking. I enjoy reading your comments, and applaud your insight. Most of you are aware that Little House was filmed in Simi Valley. But, did you know that POLTERGEIST was also filmed in Simi? So, I guess if they build all of those beautiful homes on a Hot Spot, it will be the makings of yet another scary movie. But, this one will not be fiction. Thank you for having the courage to tell the truth. I know for a fact this PR stuff has been going on even before Boeing inherited the mess. Also, if any of you would like to take a tour up there, you can hear the lies up close and personal. We who lived in Simi when the facts first came out received letters about a Class Action Lawsuit against Rocketdyne. And, there is illness still going on today. Recently,the east Ventura County area has a very high rate of breast cancer per all of California. If that is not a red flag, I don’t know what is. Yep, they have cleaned up really good!!!!! So, where are all of these people who claim the government lies??? Where are all of these people who want the truth????? WHY IS EVERYONE SILENT??????? Except for the few of us. Must be a reason, and I would guess it has to do with greed. Thanks for the background on the Chumash involvement re: Santa Susana. As a Santa Barbara resident, I would gladly pay rent to the Coastal Chumash Band (sadly, not federally recognized) rather than the landlord I pay now. The scenario you present suggests that the property ought not belong to any interest that may be able to develop it in the future. My suggestion was based on the assumption that the Chumash Tribe would have an interest in acquiring land that contained extant cultural resources for ritual and preservation purposes only – not development (land in SB County with extant Chumash resources is mostly federally-owned and/or not for sale). I’ve read of other tribes in California acquiring land for preservation/ritual purposes only. @Chase: Thank you for addressing Nature‘s unnaturally erroneous tripe. But if it were only tripe. The damage done to our collective understanding of the Fukushima meltdowns’ effects on the Japan, the Pacific and the rest of the world is incalculable considering it came from this illustrious publication. Hopefully, more incisive comments will appear in this piece to try to undo the damages of some of the worst “journalism” ever produced about the subject. @SBLocal: Your home in the Santa Barbara area is on stolen Santa Ynez Band of Chumash Mission Indians land according to the concept you present. Should you and your neighbors sign over your land to this band of Native Americans, the only federally-recognized tribe of Chumash? 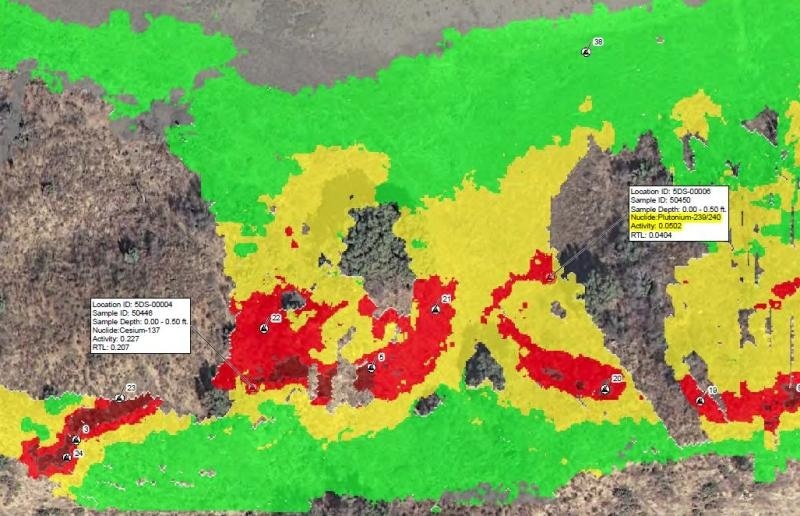 If your land was grossly contaminated, should it have to be brought back to normal background levels of contamination before you give the property to the tribe? The Santa Barbara Chumash aren’t automatically entitled to the Ventura County lab land yet Chumash in the county certainly want the land. The Ventura County Board of Supervisors are concerned that the Chumash acquire the land and, because of Indian Nation sovereignty, not automatically be required to clean up the gross chemical (and some radiological) contamination on lab property owned by NASA. EnviroReporter.com has received documents of several efforts from the board that seek to require the land be cleaned up to background before any transfer. Otherwise, it is conceivable that these Native Americans could acquire the land and not remediate it and then build a casino on it. If that happens, it could be called Hot Slots. We will be covering this issue in detail, including interviewing the Chumash, as the Boeing Meltdown Makeover series continues. You are certainly welcome (and encouraged) to contact the Chumash and send them the paper’s feature. It is likely that the tribe has seen the piece as the Ventura County Reporter newspaper is distributed over most of the county. Congratulations on getting that article out to an important audience. Since there are Chumash cave paintings on the property involved, has there been any Chumash representation in the battle thus far? The Chumash Casino has generated a lot of revenue for the Santa Ynez Tribe and the Tribe is seeking to buy back its stolen lands. I wonder if tribal leaders would be interested in this if you personally emailed them the link to the VCR article? After spending a large part of today trying to penetrate the impossible VC Reporter comment section without success, I am sending this to you instead, and hopefully, after one last attempt…in addition. It certainly seems that the Boeing Corporation can buy just about anything with enough of their big bucks, except possibly for stopping the problems and leaks currently grounding their Dreamliner. Just wave the magic money wand, and the contaminated Santa Susana Field Laboratory will now become a lovely Park in which even your young ones can go hiking or climbing on the NASA test stands, while the adults explore all of the beautiful plantings and the Indian Caves. Never mind all of the signed agreements to clean the Field Lab to background. The AOC’s can easily be trashed by simply declaring that the 2800 acres is now clean, safe and healthy….$43,500,000 of the tax payers money having already been spent, or possibly wasted, for testing..so far. And then, there are those profit hungry builders who have been trying for a very long time to get permission to build and sell a number of new homes in Runkle Canyon….. a huge and beautiful property that is right next door to the contaminated Field Lab. And, if the homeowners just sleep upstairs, they somehow will never get Cancer from all of those remaining radionuclides like Cesium 137 and Strontium 90, as well as all of the potentially intrusive toxic chemicals on the Field Lab next door, but hopefully not underneath their expensive homes. Yes, an expensive publicity campaign can be just like making a movie… lots of pretend.. But selling the Field Laboratory as being clean enough for an Open Space Park, in this case, clearly involves selling the magic- believer right down the (LA) river! Ventura County Reporter newspaper feature story: “Greenwashing” Rocketdyne is the first print coverage of Boeing’s Meltdown Makeover. Paper is target of phony media campaign but turns the tables in this fast-moving piece with new information about Boeing’s Gary Polakovic plan being implemented. These articles about the Rocketdyne cleanup show fine detailed journalism at its best. Michael has been around long enough to understand what he is writing and knows the community well. No one can detail the history of lies and deception like Michael. Thanks Michael for all your hard and time consuming work. Those of us who have seen the human health effects know that even after a cleanup the “Hill” is no place to romp and picnic. “grimy cornucopia of goo” is the most interesting description of environmental pollution I’ve ever read. Thank you for another excellent investigative article. I believe it’s possible that this same ‘technique’ is being applied to the fullest extent, whatever that is, in Japan and worldwide with regards to Fukushima. I also noted when I went to the library this week, yes they still exist, and I looked at several books written on the subject of Nuclear Power. I noticed that 8 of 10 which I randomly selected were written by professional fiction writers. (?) Supposed technical information written in a storybook manner. The way it was written was at times convincing. I see how ‘not knowing’ the ‘other side’ of a topic can lead to mistakes. You have done it again! Amazingly, you have uncovered the latest and greatest Boeing plot to NOT clean up the contaminated Santa Susana Field Laboratory to the agreed upon AOC standard, and to save millions or even billions of dollars to get the public to be o.k. with a much lesser and inadequate Open Space clean up standard instead. After all, who cares if hundreds of residents living near the SSFL, or in Simi Valley and the San Fernando valley get cancer? Or die from it? It really is all about MONEY…that stuff you used to ask for at your bank. Never mind the fact that $40,000,000 of Government money has already been spent to determine natural background, to locate and measure the amounts of radioactive and toxic chemicals…..just get a costly and sophisticated PR program going and this will change everyone’s opinions about the SSFL???? NOT! The cancer clock is still ticking, and human suffering and death will not just politely go away. You can bait and switch the Look up tables, but you cannot bargain with death. Apparently Boeing feels certain that they can buy just about anything with money….even an environmental journalist…who will agree to promote anything, right or wrong…moral or immoral…for enough dollars. And we are supposed to just believe it? Sorry Boeing, but there is a large group of intelligent and educated activists here, who may have some differing opinions about how many trucks of contamination should be going up and down the hill to the SSFL…but these folks have been attending meetings and studying the field lab…many on foot, some for as much as 30 years now. And,we are not all just going to go away. We are here to stay, and to make certain that the SSFL really gets completely cleaned up to the agreed upon AOC standard of clean up to background. Boeing…you can pay all of the PR firms in the world a millions of dollars, but this problem that you have is not going to just vanish. Perhaps you might be better advised to spend more of your billions on your Dreamliner, that I have read is still having some problems. Personally, I would never put foot in that airplane, as I would always be afraid that your demonstrated money-saving efforts had resulted in your airplane being unsafe. Boeing….please re-think this problem you have with the SSFL and opt in favor of cleaning up the SSFL to a life saving and life preserving standard….once and for all! 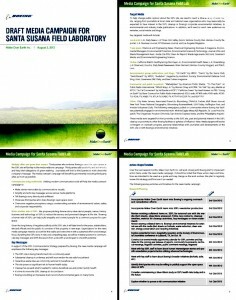 Go to Facebook and go to “Secrets of the Santa Susana Field Laboratory” and talk to some of the people there. I have studied this for many years now. I have been lied to, threatened and heard one story after another. I have interviewed ex-employees that say one thing on camera then after it’s off they tell a completely different story. They claim their pension has been threatened. The fact is, if 10% of the e-mails and phone calls I’ve received over the last 5-7 years are true then there are still some hidden issues there have not been addressed at all and REALLY need to be. This is an excellent article.Thank you Michael for bringing out this important information. It is amazing and disgusting that Boeing will go out of their way to pretend that Rockedyne is clean and to rewrite “history” too. Is this not exactly what has now occurred with certain local pseudo activists? Activist-junkies whom are threatened with arrest by Boeing after being caught red-handed photographing and documenting the onsite SSFL mess danger. In exchange for their photo disk cards, these creeps sold their souls to placate the polluter and play along with an environmental felon’s grandiose manipulation scheme. Weak of character. No integrity. Non-existent honor. Thank you Michael for this brilliant expose of an attempt at public manipulation by Boeing using a PR team to put the nuclear spin into the press and other organizations. Now that this PR campaign has been brought to our knowledge, hopefully the greenwashing will die it’s deserved death. Nuclear cleanup is a myth. They can move radioactive dirt to another place that will then become radioactive but they can’t get rid of it. The plutonium you talk about has a half life of over 24,000 years which means it will be around for 240,000 years. Strontium 90 has a half life of 28.8 years. It will not decay away for 288 years. No matter what they do to this contaminated soil, it is not really getting cleaned up. Moved around maybe but not cleaned up. It is unconscionable that Boeing would be thinking of a reduced level of “clean up” and then allowing unsuspecting people to hike and bike and pick up radioactive contamination along the way. And then – what – later sell the land to developers who will sell houses to even more unsuspecting people? This is another example of why there is no room on this planet for anything nuclear – nuclear energy, nuclear experiments, nuclear weapons – accidents always happen and then we human beings are left to suffer the consequences of contamination, the cover up of the contamination, the illnesses that result and the unending pollution of what was once a clean and beautiful planet. Shame on the journalists and publicists who are taking the money.